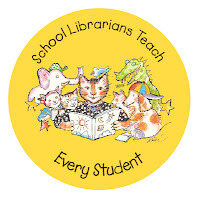 The 2010 CSLA Advocate for California School Libraries Award was given to Patrick Nelson, President of Mrs. Nelson's Library Services, in recognition of his advocacy efforts for strong school libraries. It was a treat to meet Patrick f2f. Congratulations! Patrick knows many, many childrens authors and illustrators. 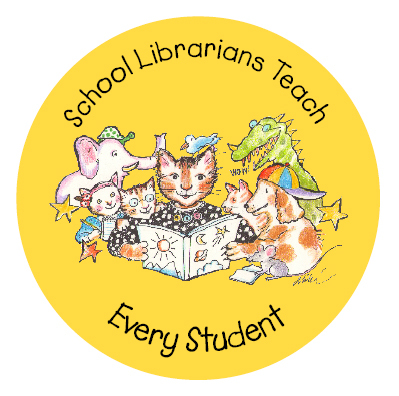 He invited them to help advocate for school libraries through donations of reproducible artwork, precious illustrations. Thank you! Some of the many illustrators: Brian Selznick, Aliki, Caroline Arnold, Joe Cepeda, Marla Frazee, Kazu Kibuishi, David Shannon,and Marianne D. Wallace.